When Sunde started working with Jon Fosse’s text NIGHT SINGS ITS SONG in 2003, she realized that in order to direct it for a New York audience, she needed to translate the play herself. It was a long and challenging process, but a fruitful one. It became clear that there was a lack of awareness about the need for theatrical translations into American English. Together with dramaturg/director Marie-Louise Miller, she started the Translation Think Tank as an arm of Theatre without Borders to advocate for the “art of translation” in venues around the country. In order to produce Jon Fosse’s texts, Sunde teamed up with Norwegian actor Anna Gutto and together they created Oslo Elsewhere in 2004. Oslo Elsewhere’s mission was to bring the most innovative plays and ideas about contemporary theater from Norway to the United States, and vice versa. Sunde and Gutto were passionate about developing new translations to their fullest potential and producing bold, relevant, fiercely theatrical plays; plays with space, plays with a pulse, plays that challenge our sensibilities and provoke our audience beyond the everyday. From 2004-2008, Oslo Elsewhere produced three major projects at 59E59 Theaters and 45 Bleecker and has continued to be active in commissioning translations on a small scale since then. To date, Sunde has translated six Fosse plays and a few other works by Norwegian writers. DEATHVARIATIONS and SA KA LA are published by PAJ. Photo here is from U.S. 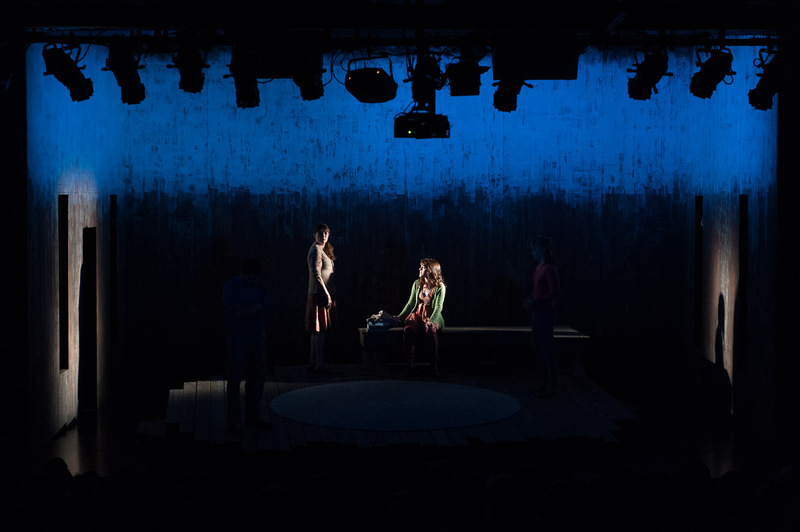 Premiere of A SUMMER DAY by Jon Fosse, translated and directed by Sarah Cameron Sunde at The Cherry Lane Theater, produced by Rattlestick Playwrights Theater, 2012. Jon Fosse is Norway’s leading contemporary playwright. His work has been translated into over 40 languages and produced all over the world. Since 2004, Sunde has served as Fosse’s American-English translator, and together with Oslo Elsewhere (Anna Gutto, Co-Artistic Director), has been passionate about bringing his work to an American audience. Sunde’s translations have been published by Performing Arts Journal (PAJ) and Words Without Borders. Below are links to excerpts from the beginning of three Fosse translations, and the essay she wrote about Fosse’s work in 2007. If you would like to read the full scripts of the translations, please contact her here. An essay formally introducing Jon Fosse to an American academic audience, published by Performing Arts Journal (PAJ), 2007. A modern day tragedy about two people who love each other desperately, but in an attempt to find each other again, push each other into a downward spiral of miscommunication. When her daughter dies, a woman digs through her past, unearthing each of the losses in her life. She comes to find that death, her frequent visitor, may not be her enemy. Jon Fosse heightens the language of the everyday to reveal the power behind what we leave unsaid and what remains unseen. preserving time and wasting it.